Welcome to an innovative workshop focusing on the potential for industrial use of microalgae and macroalgae in the Nordic countries. The workshop will take place on the 15th (from lunch) and the 16th November 2012 at the Norwegian University of Life Sciences. All are welcome to attend both days. The workshop is oraganised by Nordic Algea Network and Blue Bio. Registration is mandatory and should be carried out via this link. Registration deadline: 14th November 2012. Lunches on the 15th and on the 16th November are free of charge, as well as dinner on the evening of the 15th. The Nordic Algae Network project was initiated in order to strengthen relationships between Nordic companies working on commercial use of micro and macro algae. The intention is also to develop collaboration between algae companies, researchers and relevant R&D institutions in the Nordic countries. 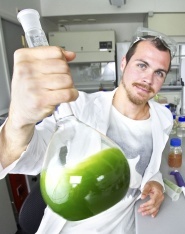 A main focus is on opportunities and problems connected to the development of a viable micro and macro algae industry in the Nordic countries. The Nordic Algae Network project is running from 2011 to 2013 and consists of 14 companies and 4 key actors from Iceland, Norway, Sweden and Denmark. The key actors who are organizing workshops and conferences within the network are MATÍS in Reykjavik, Norwegian University of Life Science in Ås, Chalmers University of Technology in Gothenburg and the Danish Technological Institute in Århus.